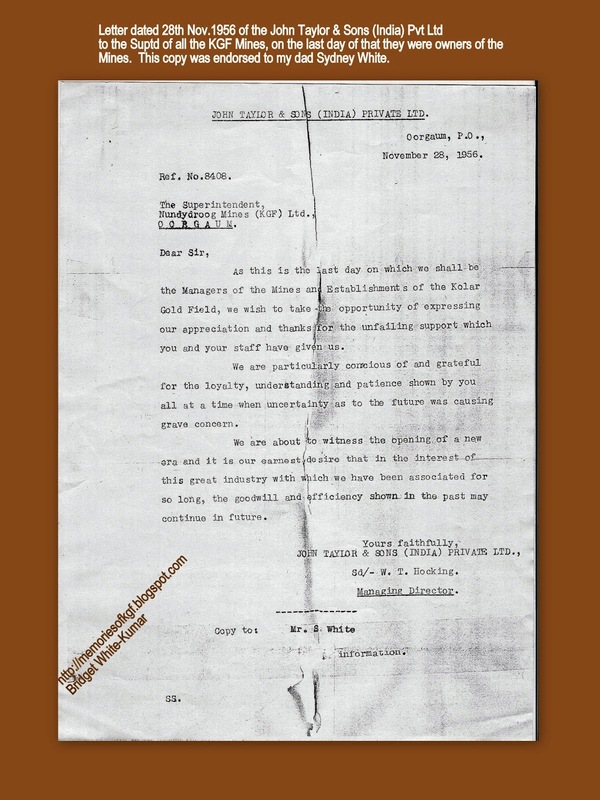 Appended below is the letter dated 28th November 1956, that the John Taylor and Sons (India ) Private Ltd Company wrote to the Superintendents of all the 4 Mines. 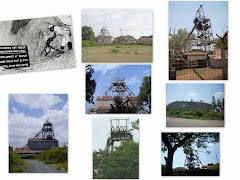 28th November 1956 was the last day they were owners of the Mines. 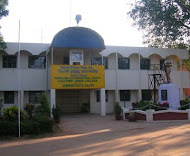 The Government of India took over the Mines on the 29th November 1956. This letter was addressed to the Superintendent of the Nandydroog Mine and a copy of the same was endorsed to my dad Sydney White and to all the other Officers and Covanented Hands of the Mines. It was signed by Mr W.T. Hocking the then Managing Director. 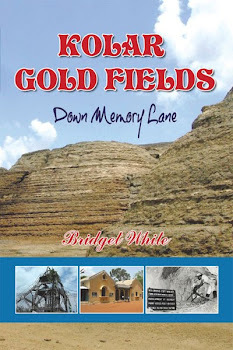 Even after 58 years since the Mines were in the hands of the Indian Government, nothing new was done for the Miners in KGF. Really sad! !